The Round Pounds are going, everybody panic! It’s started already, as I suppose is inevitable these days. There have been stories in the tabloids and all over the internet about ‘rare’ existing pound coins and how they will soon disappear off the face of the planet. It’s so serious that it wouldn’t surprise me if it has hashtags and everything by now. As a result of that and some plucked-out-of-thin air fictional values doing the rounds, that I suspect were sourced from the usual chief coin hype merchants (who shall remain nameless) the prices of certain £1 coins have been going mad on eBay. The Edinburgh city coin (2011) has been selling for up to £20 (last time I looked). Let’s try and put it all into perspective shall we. When coins/notes are mentioned in the papers it instantly creates a demand for them that didn’t previously exist. 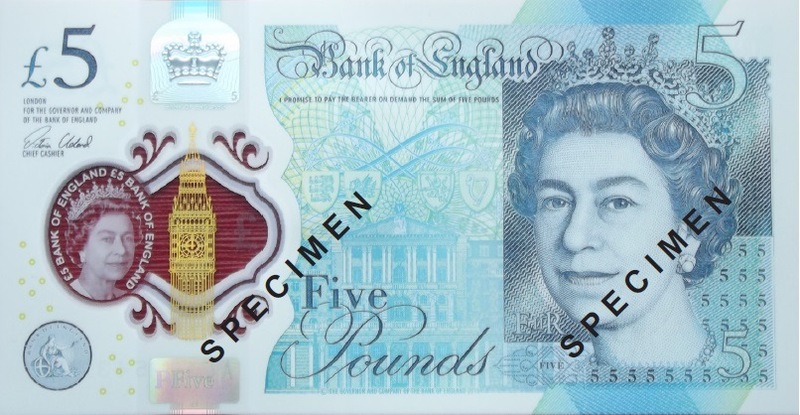 It happened, among others, for the Kew Gardens 50p, the dateless (2008) 20p and most recently (just a few months ago) for the new £5 note with first prefix AA01 or silly novelty AK47 prefixed serial numbers. It’s simple economics that when the demand for something goes up the price of it also goes up and if demand is consistent then it stays up, just like for London houses and exclusive supercars. Increasingly these days, a lot of people scramble to buy the currently in-demand item in the hope of turning a quick profit, believing that as the said in-demand item is so hot that the value is likely to increase further. Some buy with the longer term in mind, considering it to be some kind of clever investment for the future. Every time the in-demand item sells for an inflated price it reassures people that the item is of actual value and that buzz feeds more hype and sometimes it gets a bit silly. Others notice it and even those people that normally pay no attention to coins, for some reason also have to own one, usually for one of the two reasons stated above. Does that inflated value actually become the value of the item, or is it a bubble that will burst? Usually, from experience it’s a bubble that will burst and it never ceases to surprise me how people don’t seem to learn from very similar patterns that have occurred with coins/banknotes in the past! Dateless mule 20p – At peak they were genuinely selling for £600+. Value now: Around £50. Kew Gardens 50p, BU coin in folder – At peak they were about £300. Value now: Around £90. 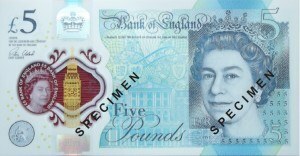 AA01 mid range serial new £5 note – At peak they were about £400+. Value now: Around £20. 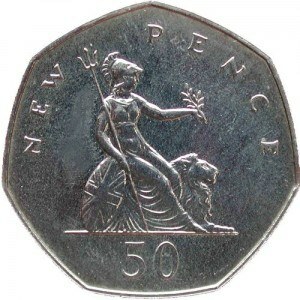 The Kew 50p is comparatively (i.e. compared to all other 50p coins in circulation) quite a scarce one to find in change and with values still fairly high, is the only recent slight exception to the bubble and burst trend. My opinion is that values are still too high and despite the odd seasonal peaks and troughs, they will also fall in real terms over time. For those of you with very long memories, there are also other examples, even pre-internet, of coins that were hyped up and did frequently sell for inflated prices due to media exposure. 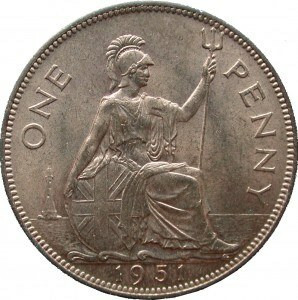 Two examples are the 1950 and 1951 pennies which were UK coins, but originally only made for use in Bermuda which meant they had much lower mintage numbers than other dates. In the 1960s there were newspaper articles about how scarce those two dates were compared to other pennies. This led to them attaining previously unheard of prices, and they were promoted as being something special and a big fuss was made, people even re-imported them in large numbers from Bermuda to cash in on the increased demand – these coins were very much the Kew Gardens 50p of the 1960s! 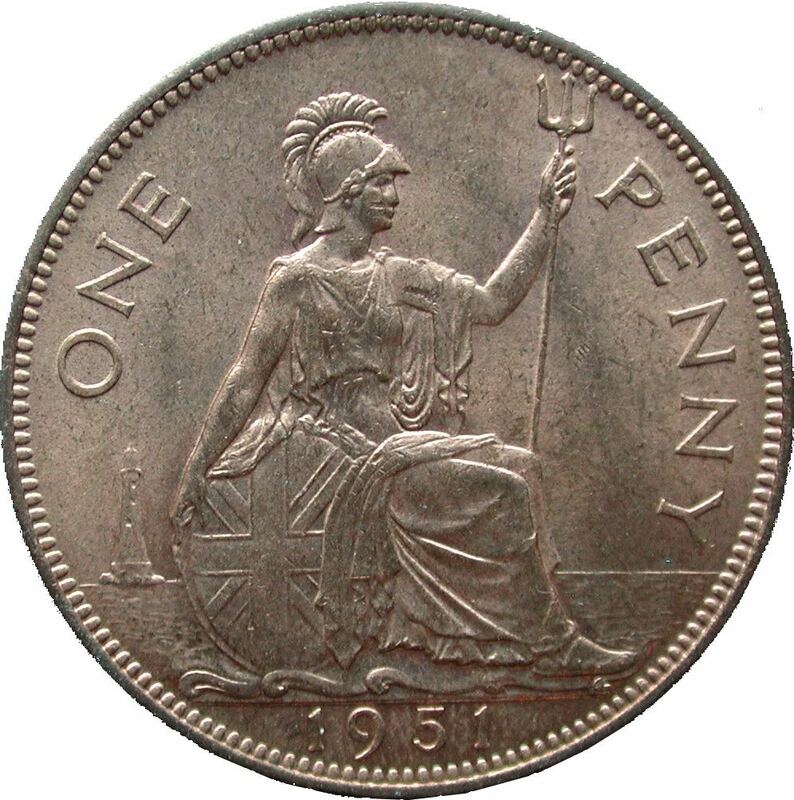 The mintage number of the 1951 penny was 120,000 (similar to the assumed number of dateless 20p’s that were made). Value in 2017 for an uncirculated 1951 penny – £50 – £60. Communication used to be much slower and buying and selling of coins involved a lot more effort than it does nowadays, where anyone can take a couple of blurry pictures with their phone and put something on eBay within seconds (usually with one or all of the words ‘error’, ‘rare’ and ‘mule’ in the description). I suspect that if the internet had existed in the 1960s if it would have probably fuelled even more hysteria and potentially could have resulted in even higher peak values back then! Who knows. The fact remains though, that a coin with a mintage number similar to the 2008 dateless 20p has in real terms fallen 66% in value over 50 years. The older pennies disappeared from circulation in 1971, much like the round £1 coins are due to disappear from circulation later in 2017. Did the disappearance of the old style pennies cause values to shoot up in 1971? I can find no evidence for that. So why would the disappearance of the old £1 coin in 2017 have any influence whatsoever on their value or collectability? Most of them were made in very high numbers and significantly (unlike the coins of the 1950s/60s) all of the £1 coins were sold and still exist in tens of thousands of BU and proof sets, all tucked away in people’s drawers and all in perfect condition. 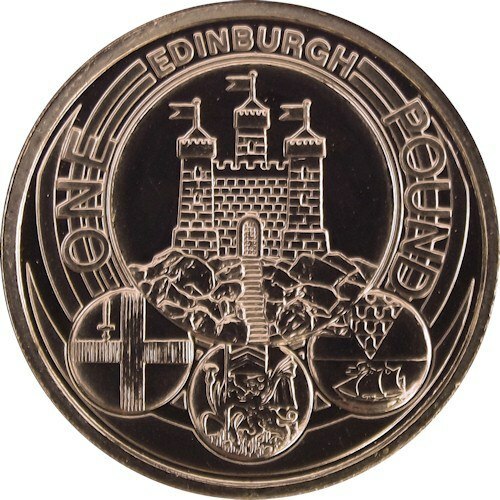 The modern old style £1 coins will never be rare, even the 2011 Edinburgh coin was made in far higher numbers than the number of people that will ever want to collect it. Old style round pound coins will still be lurking around in high numbers for years to come, just like the old pre-decimal coins are today, 46 years after they were removed from circulation. You’ll be able to exchange old £1 coins at your bank pretty much indefinitely, for face value. There’s really no need to panic! People have short memories: Most casual collectors of current UK coins only actually collect coins of the type that they can find in change, for the simple and logical reason that those are only coins that they are exposed to and can easily obtain. 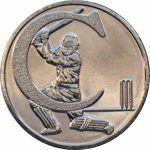 The last time a coin type was removed from circulation was in 1997 when the old style large 50p was replaced with a new smaller 50p. Did those obsolete coins all become collectors items overnight and are they now highly sought after? No, they’re not! In average used condition the standard coins are still worth 50p! In perfect as-new condition they are worth a few pounds at the most, the only exception being the 1992-3 EU single market 50p, but only because that one has also fallen victim to previous media hype. People are free to collect what they want and to pay whatever they feel is fair for whatever coins they want to own, far be it from me to preach on what should or shouldn’t be paid for a coin. But please, be sensible! If for whatever reason a particular coin shoots up in value over a short period of time and you need that coin, wait before you buy one, there are always plenty of modern UK decimal coins to go round. The Kew 50p’s tend to fluctuate a little over the year, probably dependent on what inaccurate stories are currently in the papers or used as click-bait online! Before they hit the papers in 2014 nobody cared and they were about £3 each in uncirculated condition. I understand there is a genuine demand for them from people that want to complete a set of 50p’s and I suspect they will be higher in value than the others for many years to come and probably never very low again (unless found in change). Just like with the £1 coins though, there are basically plenty to go round and I personally find £62.50 very high for a used example of a coin with a mintage of almost half a million (if you include the coins in packs/sets and proofs). For them to go considerably higher there would have to be some kind of new hype or massive new demand and I can’t see that happening. Now probably isn’t a bad time to sell, but I’m not a financial adviser nor do I have a crystal ball, it’s just my opinion! Chris Perkins’ refreshing and salutary observations provide a much needed breath of sanity and balance. As a collector rather than a speculator I refuse to pay £50+ for e.g. the 20p mule or the Kew 50p. Media misinformation and hype has likewise inflated the supposed value of the Royal Mint 2015 tester tokens for the new £1 coin (which will never be legal tender, and are possibly not even technically legal to own) and the — as yet unissued — 2016 dated 12 sided £1 coin. It’s all bad news for genuine collectors of modern decimals. Thanks! The problem is though, that it looks like all the hype induced prices for many coins are here to stay and have even become the actual values, as you often can’t find them anywhere for less! If you actually trace the source of most of the hype back, most of the information is very often from the same source. New coins are a giant industry now and there is a lot of money to be made by influencing the public with the odd (usually) wrong or totally misinterpreted story here and there. Most people don’t want to hear my reasoning, telling them they’re all worthless, they want to read tabloid style ‘your change could be worth HUNDREDS’ sensationalist media tosh. I have collected quite a good few 2016 £1.00 coins – while I do not expect to realise a fortune, can you tell me if it is worth hanging on to them in the hope that perhaps they will double in value. This may not seem much in the grand scheme of things but would be pleasing to me. The new shape ones you mean? I think that’s highly unlikely as they made a huge number and also none of them (even from new bags) tend to be in pristine condition. Can the old £1 coins have the inscription on edge upside down? If no is it possible its a fake then? Edge inscriptions are random, they can be up either way. « Impossible New £1 Found in Change.